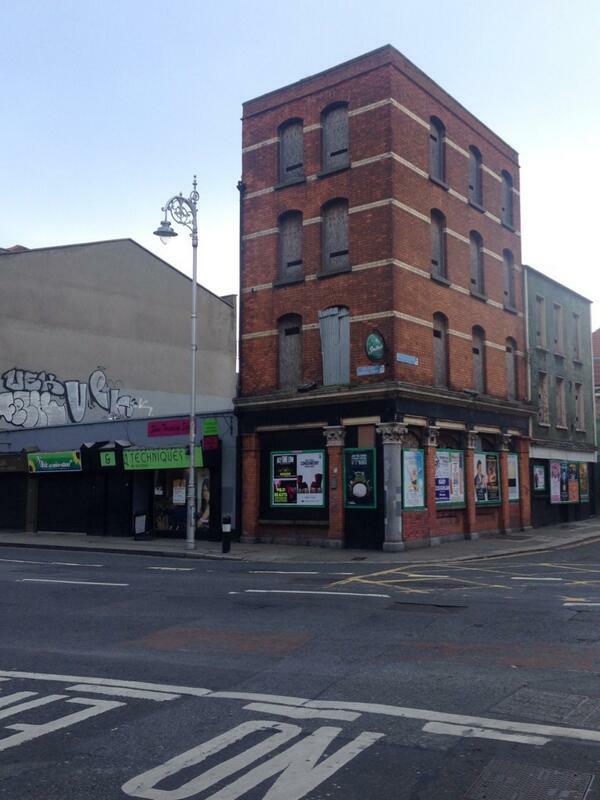 A rather lonely, and now abandoned, Victorian pub on Aungier St. Thom’s directory (1862) listed the occupier as John O’Reilly, Vintner. The building itself probably post-dates that, but it remained as a public house. While there’s nothing immediately obvious in 1901 (perhaps it was being rebuilt), by 1911, William and Margaret Kenny were living there with their two young sons, William (3) and Brendon (1). The house, a “public house and dwelling” also had Margaret’s sister-in-law and three servants living there. They didn’t stay too long though, a few years later, the occupiers were Clarke and Heary, Tea, Wine and Spirit Merchants. An older image of the building, dated 1950s, is available on the Dublin.ie website, shown below.